Where did the Olympic games come from? Why were they held at Olympia? Were there other contests like the Olympics? Who could compete in the Olympics? Were women allowed at the Olympics? How were the athletes trained? Who were the Olympic judges? What was the penalty for cheating? 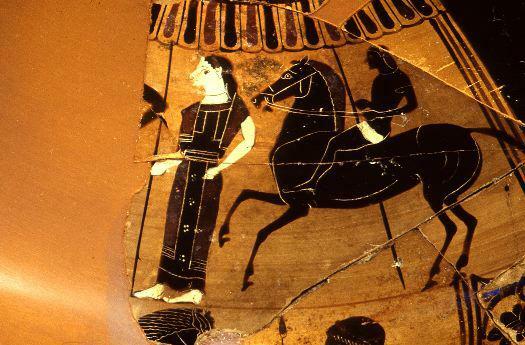 Athletic competitions for women did exist in ancient Greece. 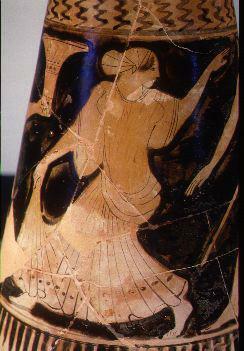 The most famous was a maidens' footrace in honor of the goddess Hera, which was held at the Olympic stadium. There were 3 separate races for girls, teenagers, and young women. The length of their racecourse was shorter than the men's track; 5/6 of a stade (about 160 m.) instead of a full stade (about 192 m.). The winners received olive crowns just like Olympic victors.